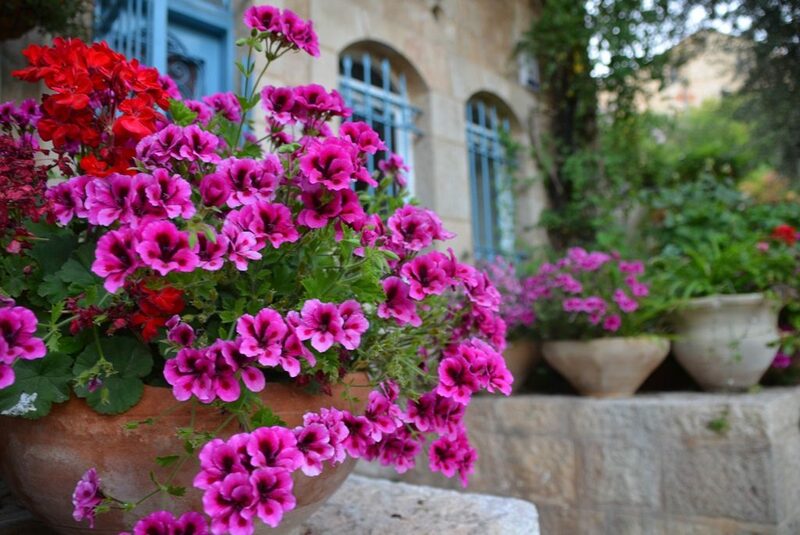 When we lived in Australia, Tisha B’Av, the 9th day of the Hebrew month of Av, fell in winter. It was a regular work day and school was not on holiday. 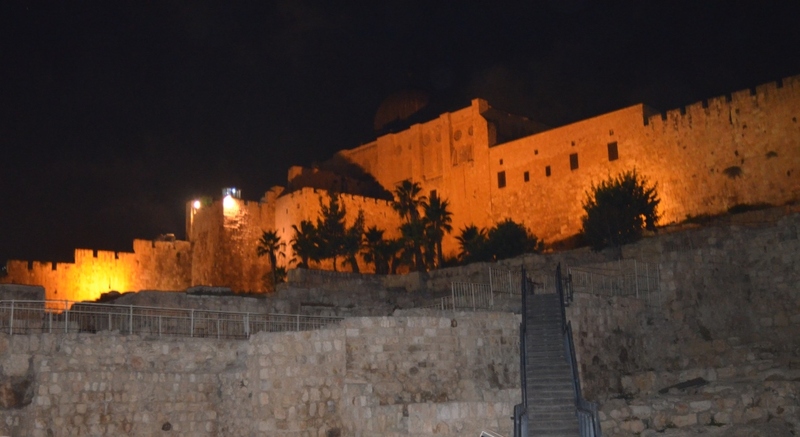 How different is the experience of Tisha B’Av in Jerusalem, Israel. 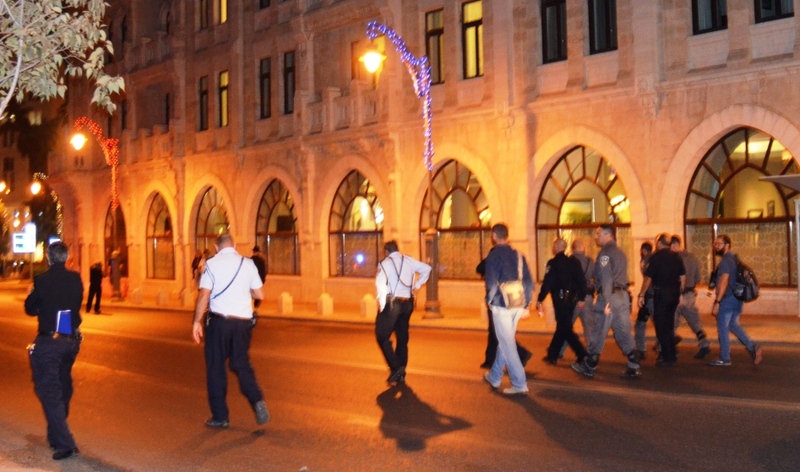 Busy streets are shuttered at night, restaurants, wine bars and street cafes are closed. 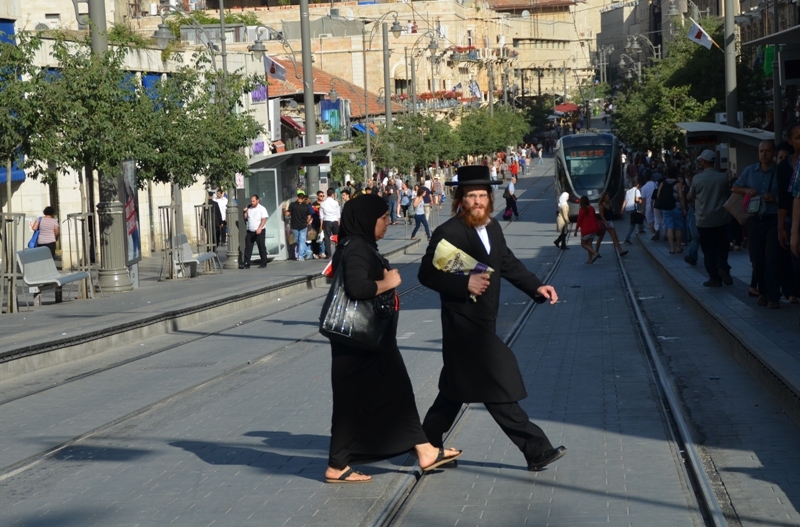 For hundreds of years, Jews have been mourning and fasting on Tisha B’Av. 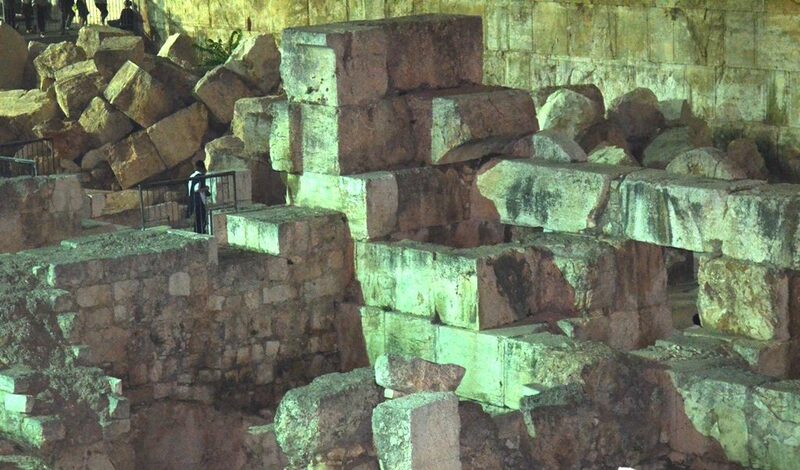 These stones next to the Kotel, the Western Wall, at Robinson’s Arch, are from the ruined Temple, and remain as a reminder. 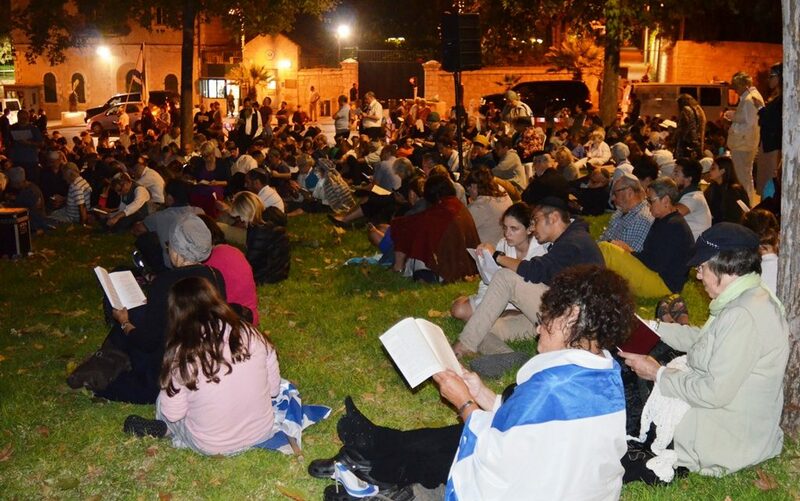 As a sign of mourning, every year Jews sit on the ground or on stones, or a low chair, to read Eicha, the Book of Lamentations. For the last 6 years I have joined in the Walk around the Walls, led by Women in Green. 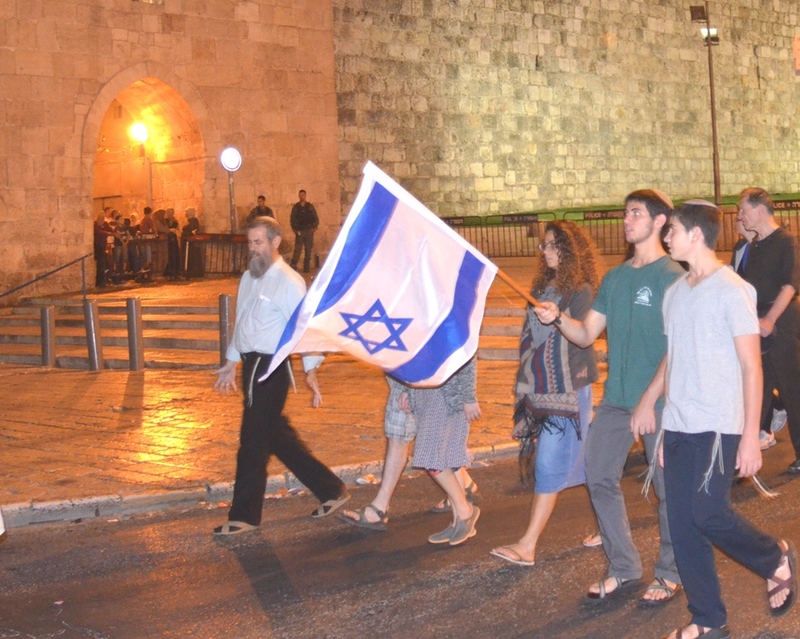 Every year I am surprised by the size of the crowd, as hundreds of people of all ages join in, many carrying Israeli flags. Security led the way for the crowd walking around the walls. Security is always a concern, but I have never felt any danger. and Flowers’ Gate. 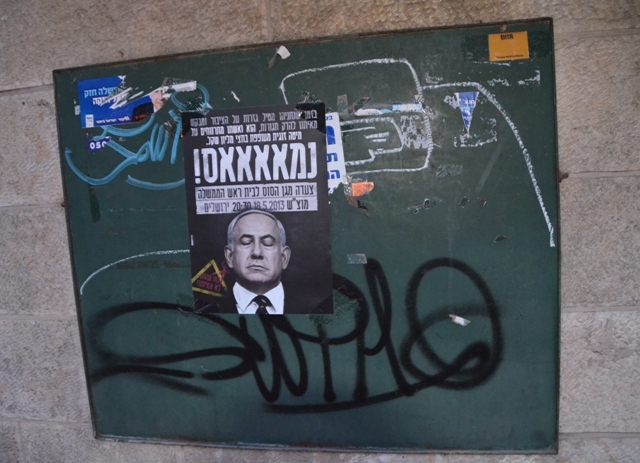 On this walk I get to see parts of Jerusalem not on my regular routes. 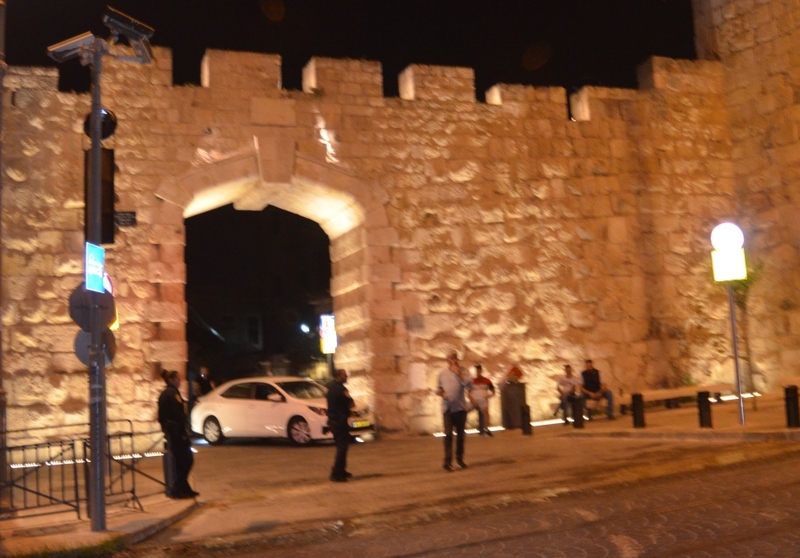 At Lion’s Gate, there was a speech from MK Zeev Elkin, along with others. He also spoke six years ago. 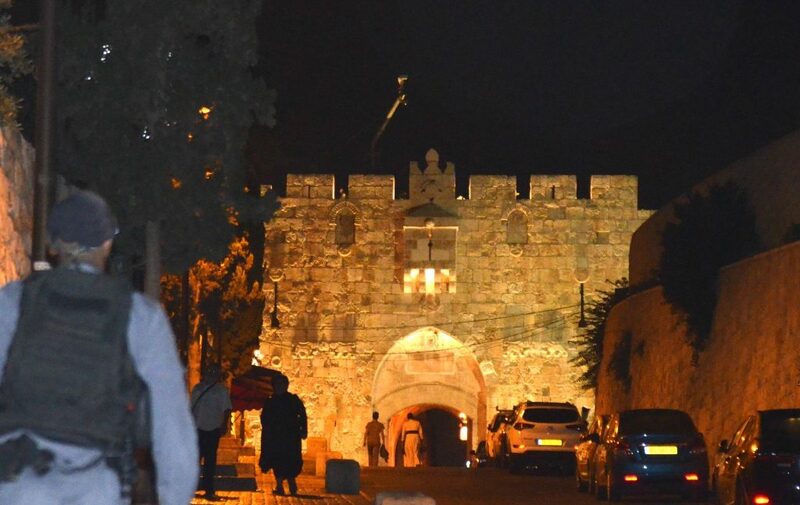 Lion’s Gate is where, in 1967, Israeli soldiers entered to liberate the Old City of Jerusalem from Jordanian occupation. 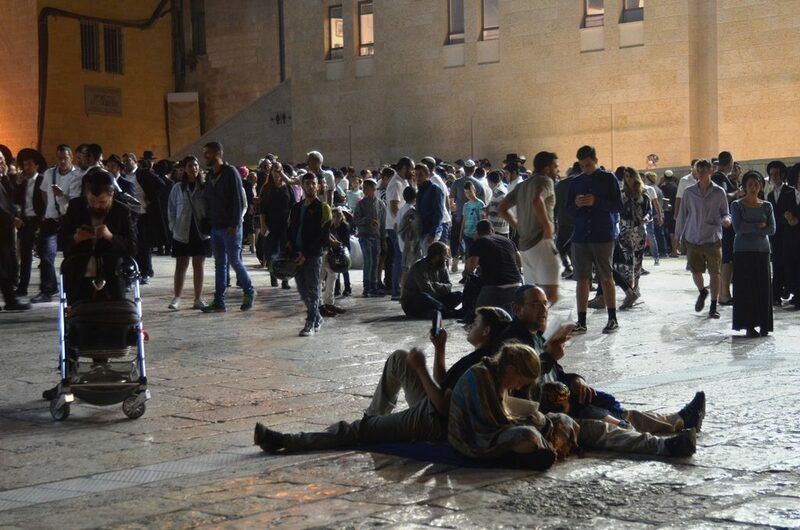 I am always amazed how many people stand and sit on the stones in the middle of the night to listen to speeches. New this year were drones over the crowd. The beautiful horses that used to patrol were missing. 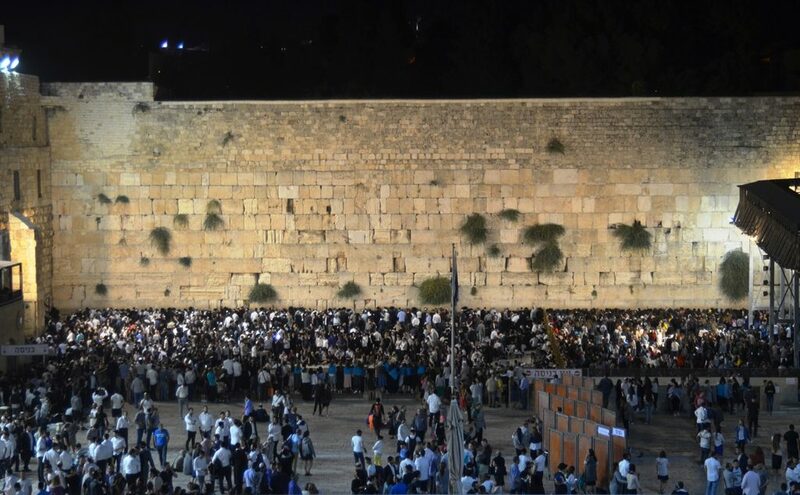 As I walked around to the Kotel, the Western Wall, the walls were illuminated. I was not alone as I passed a group listening to a guide in the southern wall excavation. 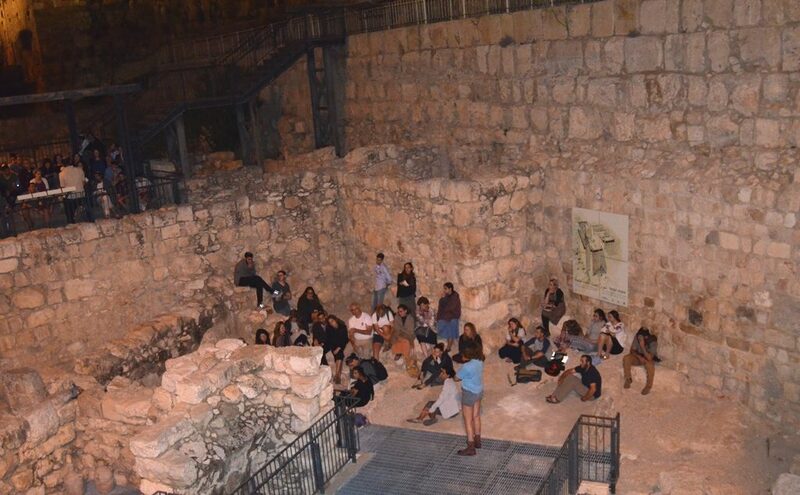 There were many tour groups and guides sharing the stories of ancient Jerusalem. 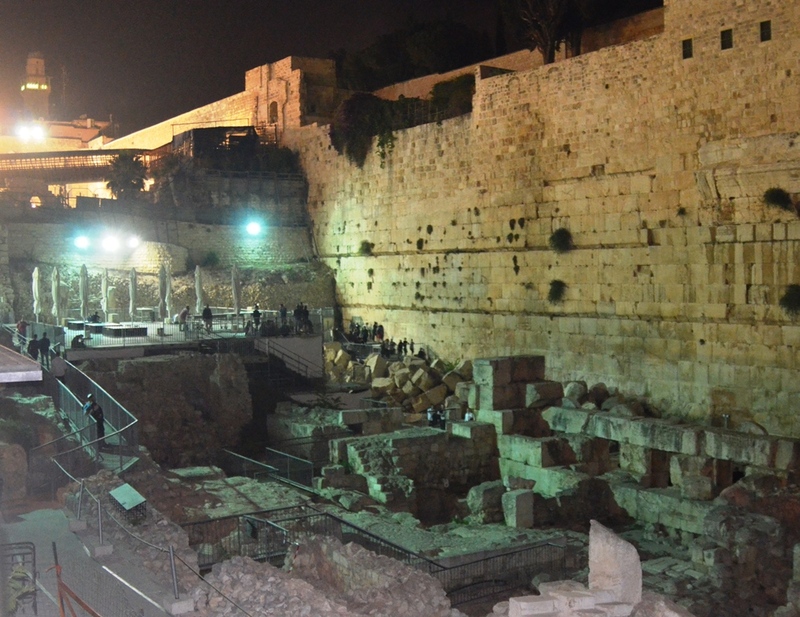 Walking around to the Kotel, I looked in by Robinson’s Arch, the egalitarian section platforms. There those ancient stones have remained at the base for millennia. It is a vast area, and hard to photograph, especially at night. 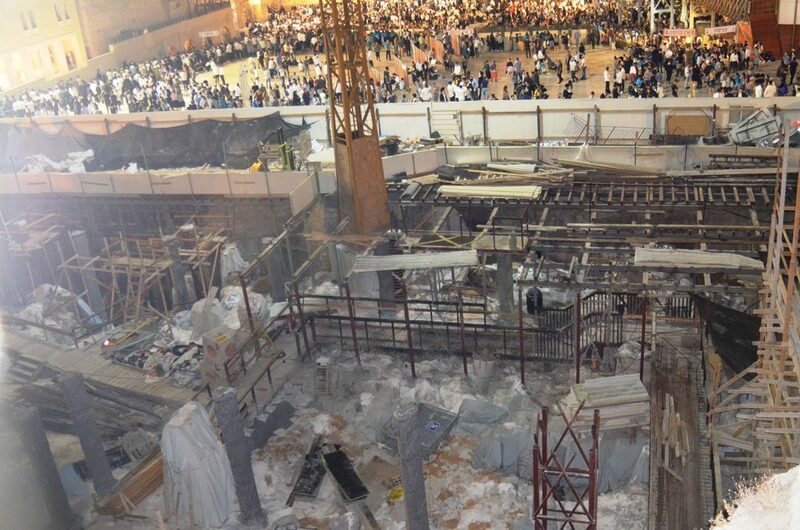 A crop of the photo shows the cracked stone which fell the next day, almost hitting a woman. And as every year, tens of thousands of people were coming and going, sitting and praying, singing, and some even socializing. They were sitting on the stones or walking somberly, remembering tragedies of old. 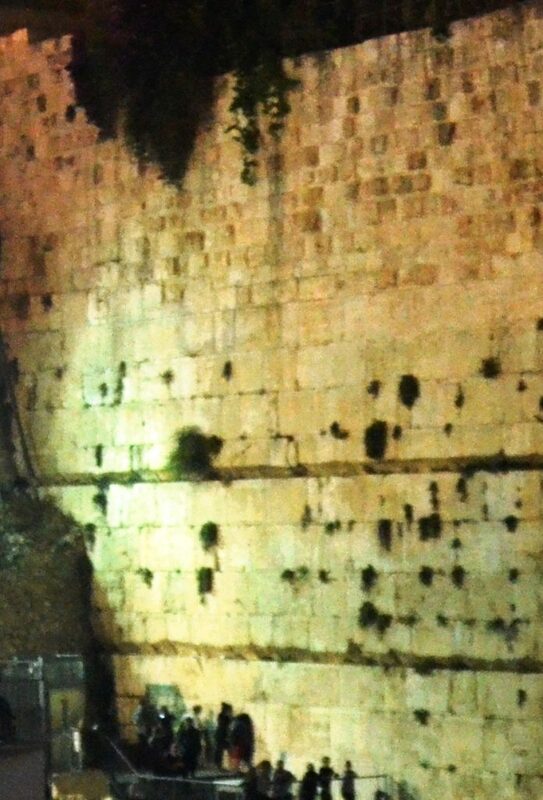 For over 6 years, near the Kotel Plaza under the stones, levels of history are being revealed. 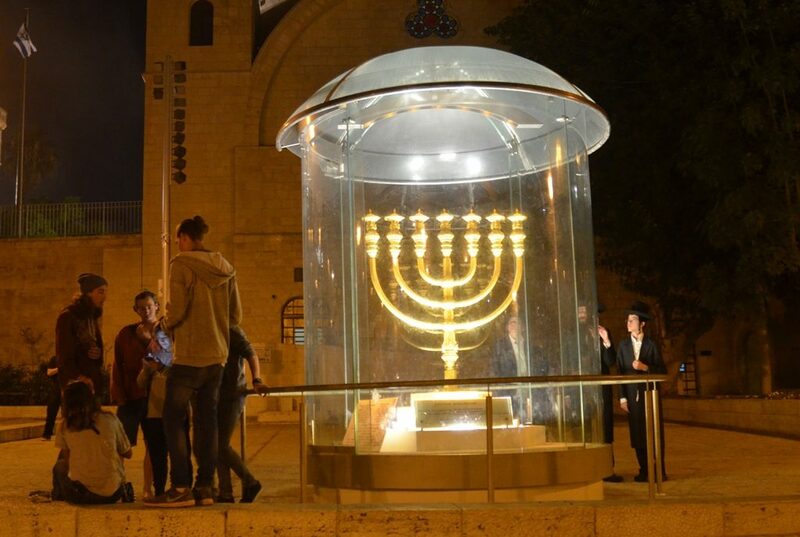 The replica of the golden menorah of the Temple was shining brightly in front of the Hurva Synagogue. 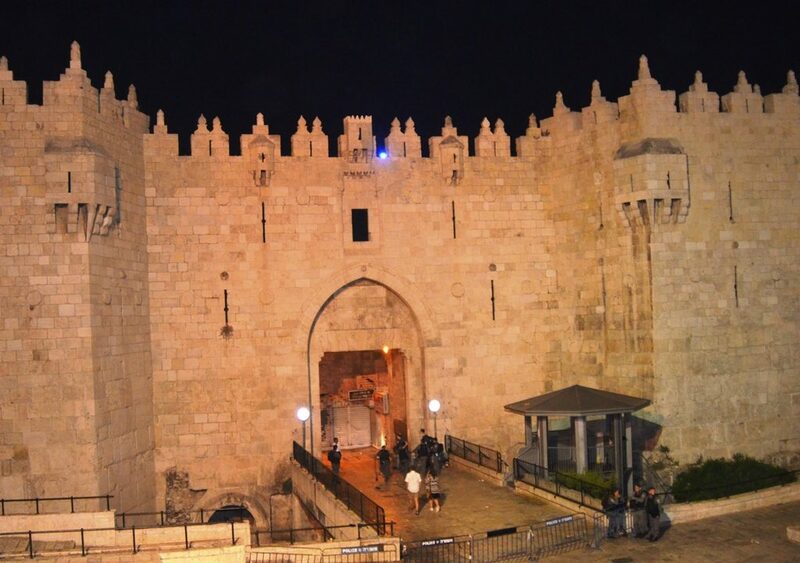 It was moved recently when work began on a new elevator access to the Kotel. Six years of walking around the ancient walls, a simple act that for so many years our ancestors could only dream about. The distance seems less each time, but the hour is always late. 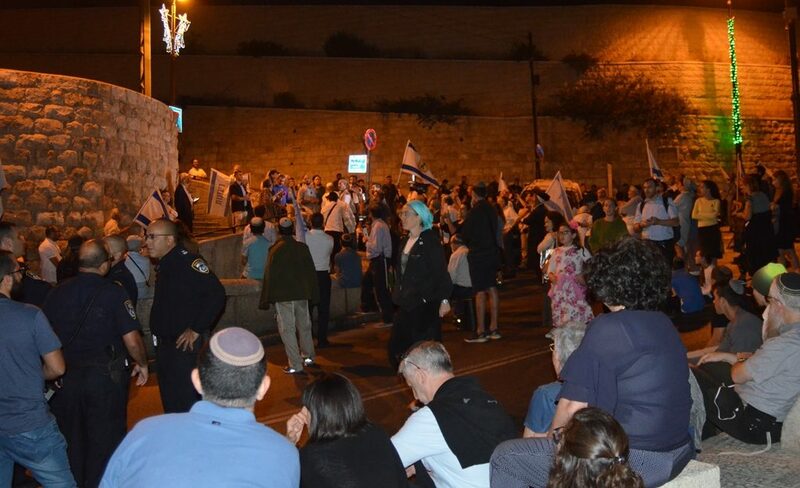 however, Tisha B’Av mourning revolves 180 degrees. After the lows of mourning, the roller coaster of life returns to celebration. 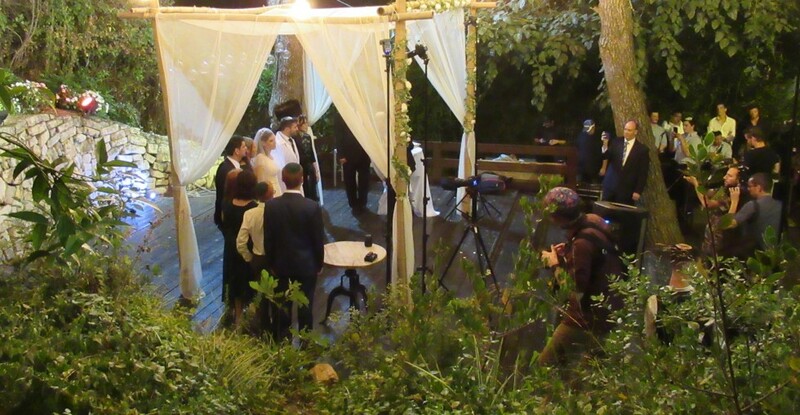 After Tisha B’Av comes a big wedding season. 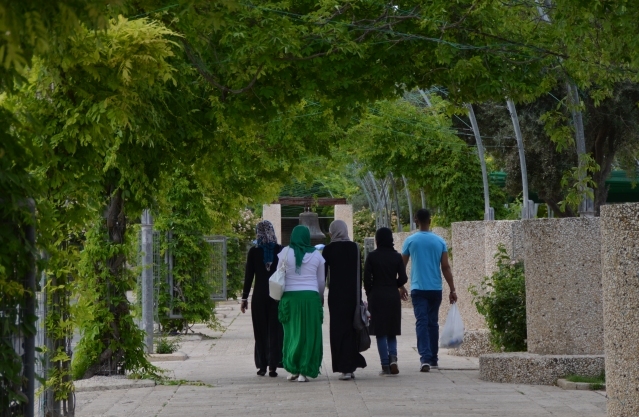 A new family starting a new home in Israel. The situation in Syria is getting more intense. 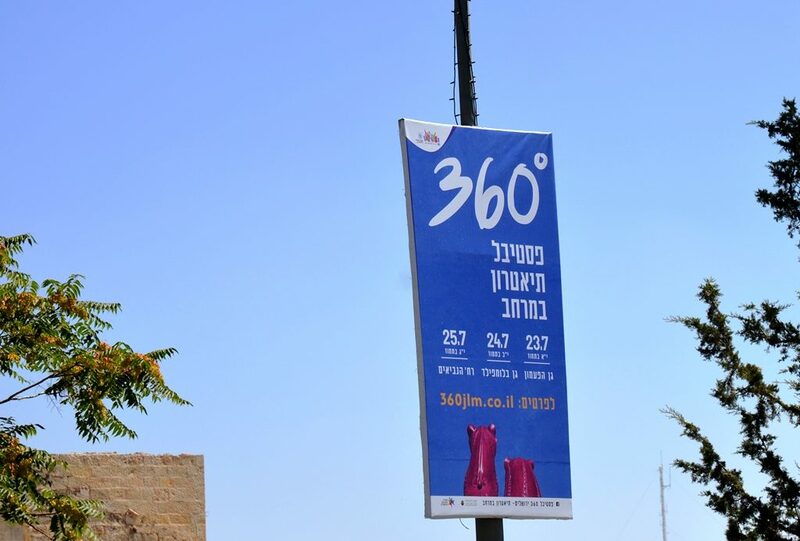 Hamas continues to burn the south. However, families from around the world are coming together. At this wedding in the hills of Jerusalem, as at all Jewish weddings, there is a song to remember Jerusalem. 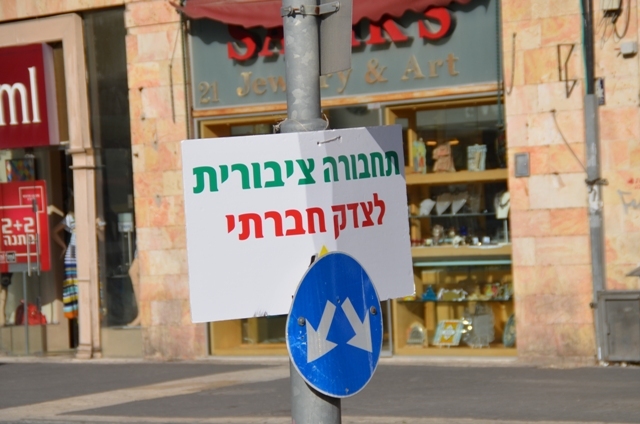 Not just on Tisha B’Av, but every day, Jerusalem was and is in Jewish prayer. 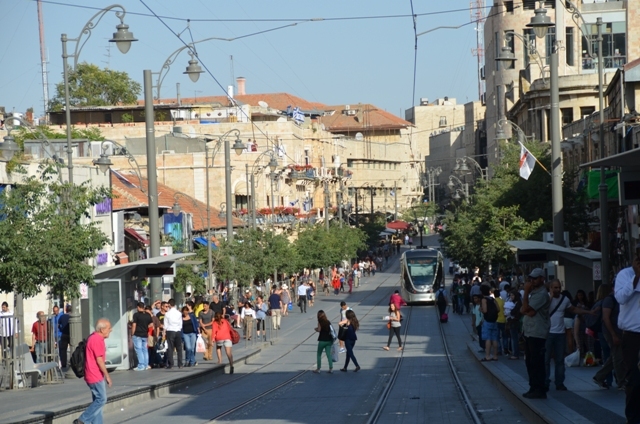 After Tisha B’Av, so much is happening in Jerusalem, Israel, it is hard to decide what to do first. For culture, there are large musical performances in Sultan’s Pool and free movies at night in the parks. For sports fans, there is a street ball tournament and a basketball competition, plus flags are up for 52nd International Children’s Games, set to attract 2000 teenagers. is so different from anywhere else in the world. 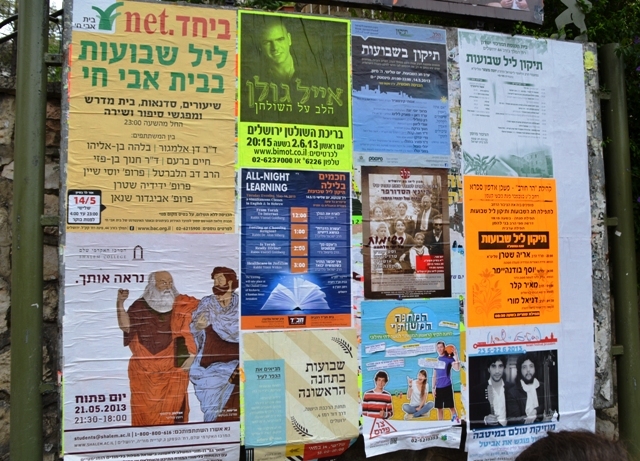 These posted ads are for only a few such learning events. There was one thing very different this year – it rained at 8:30 am! and new taxes have made for some very angry citizens. and a very quick visit to Russia to meet with Mr. Putin. 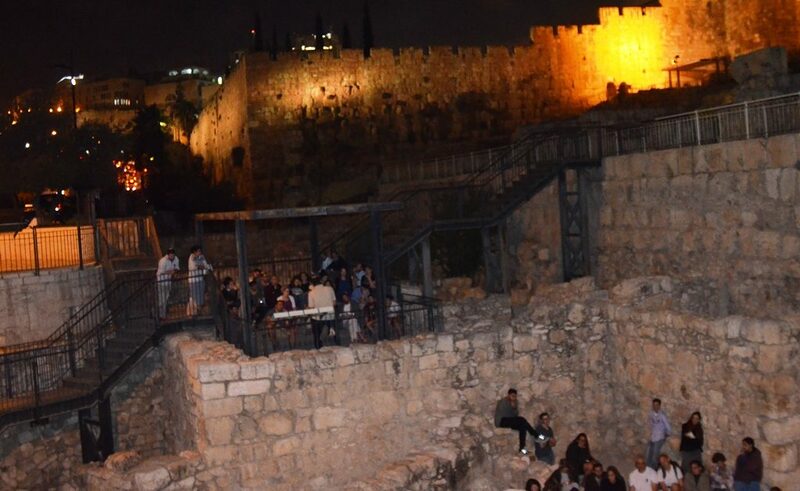 Foreign Minister of Lithuania Lianas Linkevicius are in Jerusalem. Canada and Israel in a Changing World, New Trends and Directions? on the real streets, it is wedding season. 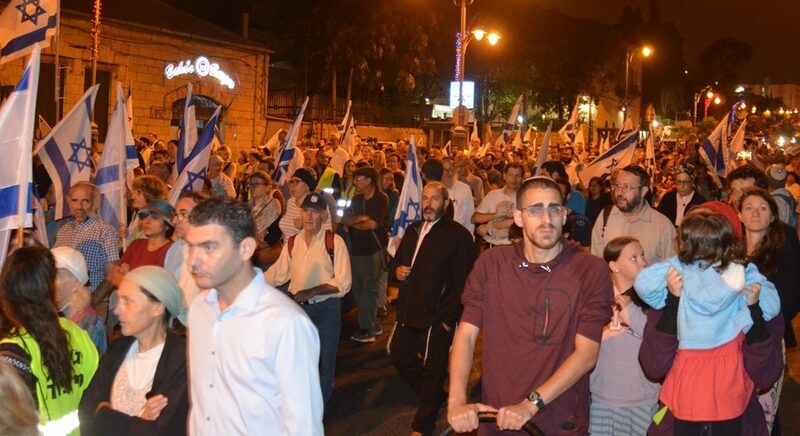 to the traffic-stopping Belz wedding with 50,000 guests. Wonder if any of their international guests will go into town? 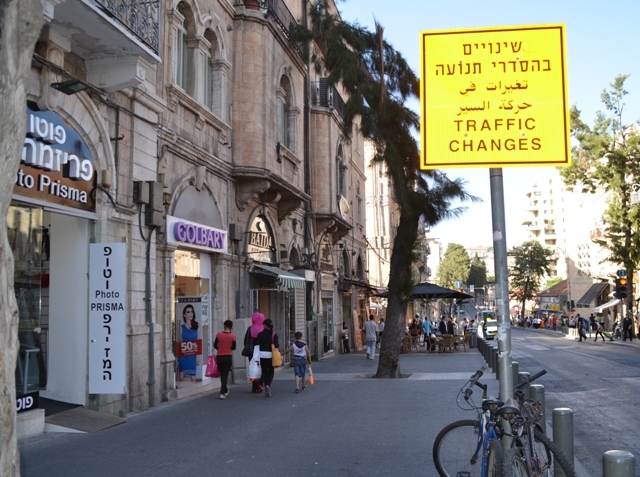 there is a sign for traffic changes on King George Street. One big surprise, I found a moment with no buses or taxis. the light rail train of the future. 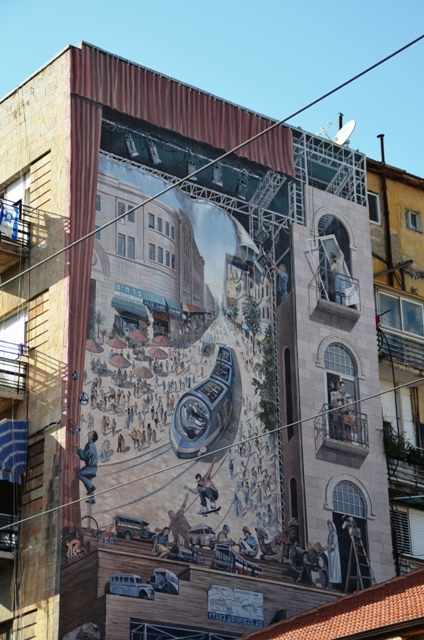 and the train is running and people are returning to the city center. 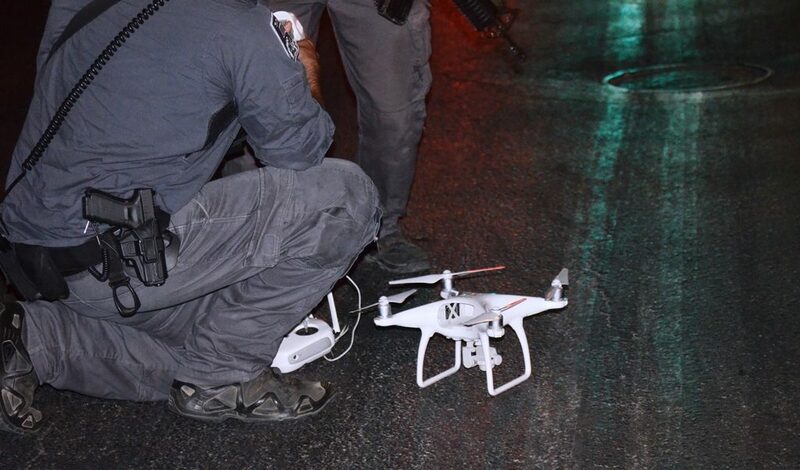 The media always reports Arab and Haredi riots in great detail. 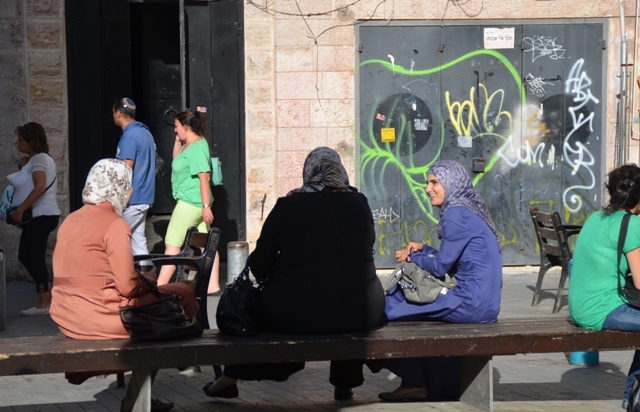 and these women were sitting off Ben Yehuda Street in the afternoon sun. and it is time to head outside and to the parks. enough to keep everyone busy. 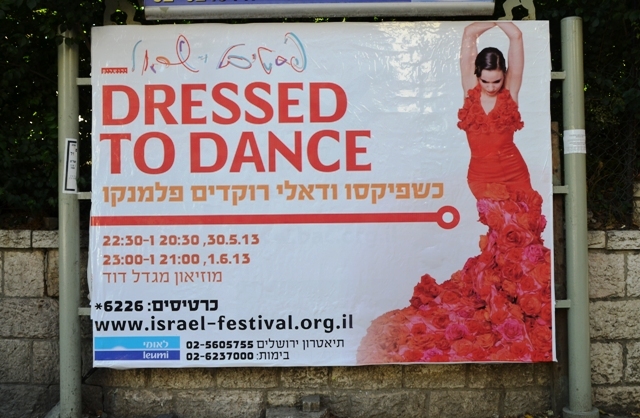 And my favorite festival, Light in Jerusalem is coming soon. but what did you hear about?